A comprehensive plan is a document that describes a long-term vision that a community wants to achieve. It is a broad brush look at the entire community in terms of where it is now, and where it would like to be in the coming years. It looks at the many parts of the community, how the community functions, and its role in the region. A comprehensive plan is intended to provide a rational basis for making local land use decisions and to serve as a blueprint for community-wide efforts to achieve its vision. 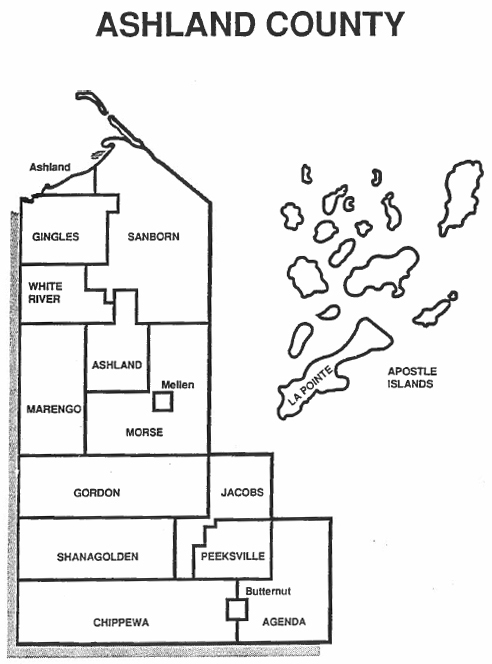 Ashland County and all the municipalities within the county developed and approved comprehensive plans in 2005-2006. State law (Wisconsin Statutes 66.1001) dictated the process and components of a comprehensive plan and that once adopted, plans should be reviewed at least every 10 years. That review period is 2015/16. This web link is set up to give the public a look at the process and an opportunity for comments and questions. It is also here to assist municipalities as they review their plans. You will find below the 2006 plans, surveys, links to state law and resources, updated documents and draft plan updates. Please review the materials provided and if you have questions or input, follow the instructions toward the end of the post. 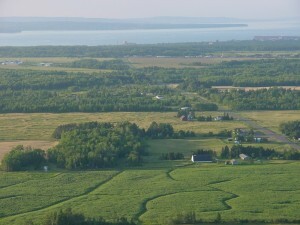 The county also had a Farmland Preservation plan that was developed in the 1980’s. It is due for an update and the process for that update has been combined with the Comprehensive Plan review. The same county committee is working on both plans. The county’s goal is to complete its review by November 2016. A committee of the county board is working its way through the plan and as new sections are developed they will be added to this page. We will also update the Frequently Asked Questions (FAQ’s) section on a regular basis. A Public Hearing was held on Tuesday, September 20, 2016 at 5pm in the Ashland County Courthouse 2nd floor boardroom. 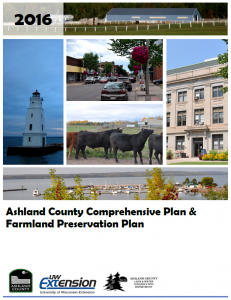 The revised Comprehensive Plan and Farmland Preservation Plan was reviewed and approved at the December 15, 2016 Ashland County Board of Supervisors meeting. The staff supporting the review committee’s work have updated all of the sections from the 2006 county plan. We have updated tables and charts using the latest census data and data from other sources. When available the data was broken down to the municipality level to aid municipalities in their reviews. In some sections we also added additional information that will help inform the committee about changes or impacts in the county. These documents do not repeat all of the text from the 2006 plan, so to get a complete picture of each section you may want to review the 2006 background document section and these updates. 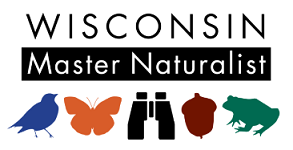 Funded by the Wisconsin Coastal Management Program and the National Oceanic and Atmospheric Administration, Office for Coastal Management under the Coastal Zone Management Act, Grant # NA15NOS4190094. All 2006 documents for municipality plan background documents and policy documents can be found in pdf format on the Ashland County website, click on the individual municipality to bring up the plan links. For those municipalities wishing to edit those documents as part of the review please contact the Ashland County UW-Extension office and ask for your municipalities background and/or policy documents in word format. The City of Ashland updated its Comprehensive Plan for 2015-2035– Authentic Ashland in February 2017. The Center for Land Use Education at UW Stevens Point has a wide range of resources for developing and updating comprehensive plans. The Wisconsin State Legislature website has the State Statute on Comprehensive Planning. 66.1001. Surveys are a good method of getting input from a cross section of municipality citizens. For those municipalities interested in conducting a survey as part of their review process, we provide several resources and examples below. During the original comprehensive planning process in Ashland County a community survey was conducted and the Ashland County Level Citizen 2004 Survey Findings Report, a PDF, shows the results. The UW River Falls Survey Research Center has helped dozens of communities conduct surveys as part of their comprehensive plans. The reports are linked on the page and can be viewed in their entirety. Usually the original survey is included in the report toward the end or as an appendix. In addition to the examples on the UWRF site we selected a few other examples that may help you decide what questions you’d like to ask. As you’ll see the length of these surveys varies widely depending on the needs/interests of the municipality. If you’d like assistance in developing a community survey, contact the Ashland County UW- Extension Office. Ashland County Agriculture Land Use & Preservation Survey 2016: Ashland County has developed this survey to gather your opinions about agricultural land use and preservation. The results will help us identify issues and concerns, better understand the needs and provide input. Once compiled, the 2016 survey results will be shared here. 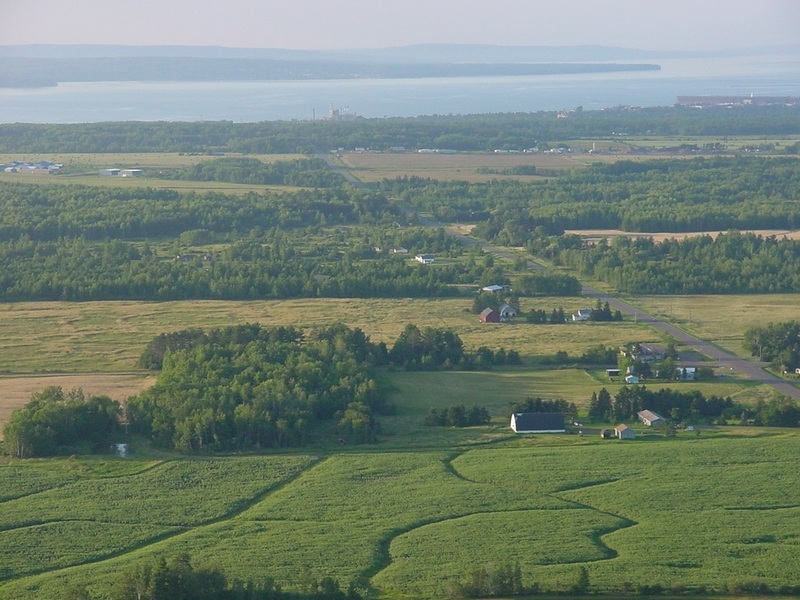 The Wisconsin Department of Agriculture, Trade and Consumer Protection website gives a good overview of the Farmland Preservation Planning process and includes a link to a tutorial explaining the program. How can citizens provide input to the comprehensive plan review? Meetings of the County Comprehensive Plan Review committee were open meetings and a public comment opportunity was on each agenda near the beginning of the meeting. Do municipalities need to write a new plan? The comprehensive plan law states that plans should be reviewed at least every ten years. (See the link to the state statutes above). What are the minimum requirements for a review? The law is a little vague on the specifics of the ten year review. The county committee is reviewing updated background documents prepared by Ashland County UW-Extension and then reviewing and updating each of the goals, objectives and action steps in the Policy Document of the plan. Once complete the county will schedule a public hearing prior to creating a final plan and adopting the plan at a County Board of Supervisors meeting. Option 1. Write an entirely new plan. Option 2. Selectively update the old plan. Option 3. Prepare a plan addendum. A written public participation plan that is approved by resolution. At least one public hearing on a proposed ordinance to adopt amendments. A class 1 notice of the public hearing. For municipalities we suggest you review the statute and check with your corp council or professional association – ie the Wisconsin Towns Association or League of Municipalities. You will also find some guidance on the Center For Land Use (CLUE) web site linked above. Are there grant funds available to assist municipalities in conducting their reviews? Funds are very limited at this time. Can the county assist municipalities with their reviews? The UW-Extension office can provide limited assistance with things like developing a community survey. They are also updating all the background documents with 2010 census data and other more current data. When those drafts are updated they will be available here on this web site. The background documents for municipalities in the 2006 plans were very similar to each other and the county’s, so these updates should meet most of the municipality’s needs. (With the exception of the City of Ashland, which used a different consultant).